Frank Smith's record, Before You Were Born actually comes out in January but he released Monsters and A Decline THIS year so, I'm including it. I'm also including Pure X's You're In It Now EP, as part of this entry. Although, the video below is from the LP, Pleasure. The album title uses the short "i" sound, as in "living the music." Just like I did with the Pure X entry, I'm including White Denim's Takes Place In Your Work Space EP because it's an extension of D and features one of my favorite White Denim songs to date, Handwriting. You can find most of these artists if you're a Spotify user and want to hear more. Frank Smith has his previous releases on Spotify but, the songs I posted above are from an album due out in 2012 so you won't find them there. For the other 10, I've made a little playlist for you to enjoy. So, there you have Best of Austin 2011. 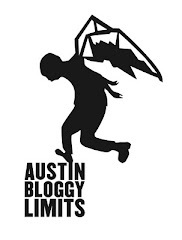 Feel free to leave your thoughts, concerns, etc in the comments or tweet @AustinBloggy.